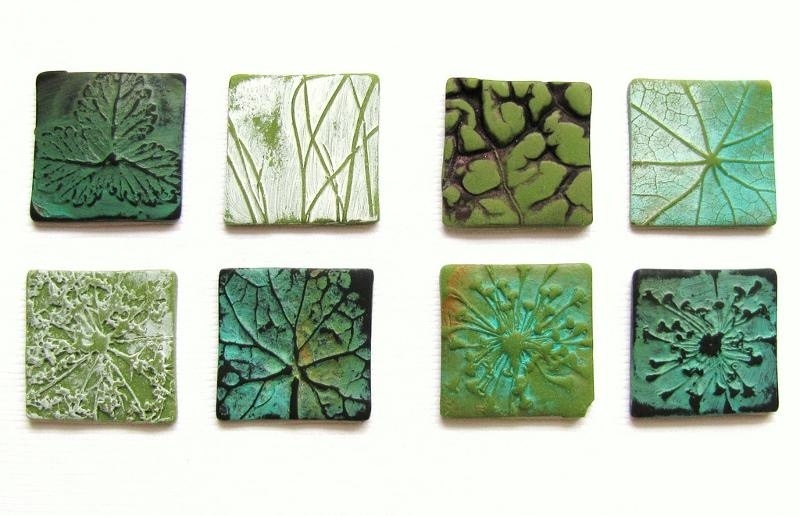 Artist Denise Pettit will show students how to mold and color polymer clay to make decorative tiles imprinted with natural materials from the Arboretum. Polymer clay is an exciting and versatile medium that is easy to work with at home and can be baked in your own oven. Materials provided. Denise Pettit received a degree from Penn State University, as well as certifications in Commercial Art from the Art Institute of Houston and Wilderness Camping from St. Leo’s College in Florida. Previously a graphic designer, Denise now designs jewelry. See her work at http://www.aestheticals.com. Just saw this on Pinterest. The images Tyler used are not the ones I provided them. I thought Tyler preferred stock images over mine. At a PAPCG a meeting I recognized the work as fellow member’s Kate Clawson and apologized to Kate. I let a PAPCG representative know and spoke at length to Tyler about their error. Thank you, Denise, for posting. I remember Kate was quite gracious about this whole mistake. I had forgotten to come and edit this post, so thank you for correcting that error.